RapidSSL® Certificates are a lightning-fast DV option w/standard 128/256-bit encryption compatible with 99.9% of browsers. QuickSSL® Premium is a quick domain validated solution for securing data transmission with a popular SSL brand name. RapidSSL® Wildcard Certificates lets you secure unlimited sub-domains on the same domain with just one certificate. A Symantec™ Secure Site with EV is one of the most trusted & comprehensive web security solution on the planet. GeoTrust® EV SSL certificates will increase confidence by activating the green address bar, the most trusted indicator on the web. SSL123 is a premium entry-level certificate issued in minutes with high-end encryption by world-renowned name. True BusinessID® Wildcard secures unlimited sub-domains with a popular brand and recognized site seal. Symantec™ Secure Site Pro with EV is the ultimate security solution combining encryption, trust and security. Thawte® Wildcard is an easy & affordable solution if you need to secure multiple subdomains on one domain. A Symantec™ Wildcard certificate enables strong encryption & trust on multiple sub-domains and boasts Norton™. SSL Web Server EV enables the green address bar with the internationally recognized Thawte® Site Seal. Finding the right SSL solution shouldn't require visiting various security providers or having to choose from a limited number of options offered by your web-hosting company. ... Since 2007, our industry-leading Symantec™ family of SSL brands has given 400,000+ websites the flexibility and options needed to find the right solution at an extremely affordable price! Let's get started on finding your solution! Aside from encryption, what else would you like out of your SSL certificate today? RapidSSLonline.com is a pioneer SSL provider with four globally recognized brands available at your disposal. Website owners have been finding some of the cheapest SSL certificate solutions the web has to offer for the past 7 years, not to mention, always receiving outstanding service to help you navigate those sometimes murky SSL waters too. Simply choose one of our low-price certificates from our fantastic portfolio to find the right solution today. As the Internet keeps growing at a rapid pace, more and more emphasis is being placed on the growing questions surrounding web security. What it boils down to is: are online transactions truly safe & secure? The short answer is YES! Websites with a properly installed & trusted SSL certificate are extremely secure and should be trusted with regard to online transmissions of any type of sensitive data. The technology behind SSL encryption is stronger than ever and if you are a business owner and you have a website that collects any type of sensitive information from users, SSL certificates are the one and only way to ensure your customers are safe and secure when making a transactions online. How Does an SSL Certificate Signify a Secure Web Experience? 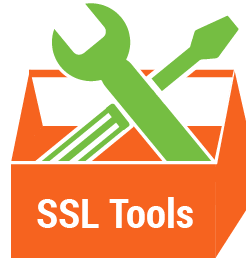 SSL is an acronym for "Secure Socket Layer" and an SSL certificate includes algorithms for encryption and decryption of data behind the scenes to protect and secure transmissions over the Internet. From a user's perspective, a website session with an installed SSL certificate will protect any data on that page while it is transferred between the web browser and web server(s). While transferring this confidential information during the secured session, the SSL encrypts the data prior to transmission and then sends the encrypted message through the web to prevent online hackers from being able to intercept and read the information. The receiving web server has the only key to decrypt the message. When it is all said and done, SSL-enabled websites create trust and increase confidence in web users while executing secure online data transmissions, such as online payments. All SSL certificates include 256-bit encryption levels, 99.99% web browser compatibility, and a trust seal issued by a recognized Certificate Authority (CA). These key features of SSL security all add up to create a more trusted experience within a secure environment for online users. Domain Validated (DV) SSL Certificates are basic options that really only include encryption and standard trust indicators. A DV certificate is the quickest and easiest SSL solution for a small business to enable a website with SSL security, however, it lacks many features that are designed to help a business succeed on the web. Since it only requires the domain to be validated, this is a cheap SSL certificate solution to quickly secure a site. Organization Validated (OV) SSL Certificates are the next level security solution for a medium-size e-commerce business. An OV SSL certificate requires basic company validation, where website users can actually see the company's name on the certificate when clicking on it within the browser. Extended Validation SSL or better known as EV SSL, is the strongest and the most advanced level of a digital security certificate that you can get. An Extended Validation (EV) SSL certificate requires a complete and thorough validation of the company and domain before it is issued, but once issued, it activates all of the SSL trust indicators within the browsers to showcase trust on your website. The extended validation issuance process is a more thorough process, but it has a lot more benefits and rewards to reap in the end. This process includes verifying company information and other documents before issuance, but the payoff is that it activates the globally trusted & recognized Green Address Bar feature within the browser, the padlock and your company name and location displaying directly on the cert itself to show the world you are a legitimate company. Once you have an EV certificate, you now boast a high-assurance certificate that has proven to instill more trust in users and increase conversions. Buying an EV certificate is not a cost – rather an investment in the trust, security, and viability of your business. Wildcard SSL certificates are the convenient solution for securing an unlimited number of subdomains, such as, mail.domain.com. A Wildcard SSL Certificate saves you time and money because it can protect multiple subdomain names on single server and single IP address with one certificate. Our Wildcard SSLs are available as both Domain and Organization validated certificates. Multi-Domain certificates are also called SAN certificates and they are another convenient and cost-effective solution when a website-owner has multiple domains that need to be protected. If you purchase a low priced multi-domain SSL certificate, you can secure many different fully qualified domain names with one single certificate, like: domain.com, domain.net, domain.org, yoursite.com, etc. Why Should I Choose a Low Cost SSL Certificate from RapidSSLonline.com? For the past 7+ years at RapidSSLonline.com, customers have purchased the most trusted SSL certificates from the World's most recognized Certificate Authorities such as Symantec™ (formerly VeriSign), GeoTrust, Thawte and RapidSSL at extremely low rates. As a worldwide SSL leader and a platinum partner of Symantec's family of CAs, we provide cheap SSL certificates to a wide range of small to large enterprise online businesses throughout the globe. 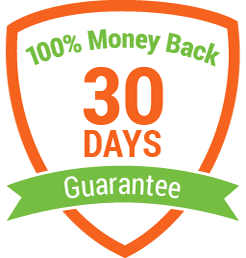 At RapidSSLonline.com, big-time savings are available to all kinds of website owners and webmasters for various online security solutions all in one place. We aim to create a safe & secure experience for all things SSL and websites in general. If you're committed to securing users' data while increasing trust with a cost-effective SSL, then RapidSSLonline.com will have an affordable SSL certificate solution for you. Reach us via Email, Chat, or Phone 24 hours a day, 7 days a week to buy Cheap SSL Certificates.